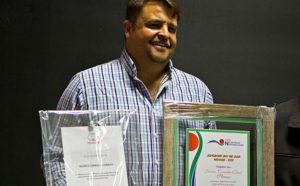 Jaco Strauss, a 39-year-old farmer from the Vaalharts area, has been named as the Agri Northern Cape Young Farmer of the Year. 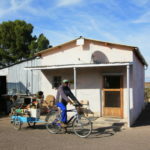 He was announced as the winner during the 38th annual Agri Northern Cape Congress in Kimberley on 23 August.Strauss, who has been working his farm, Lekkerkry, for 18 years, said that the award was recognition for all his years of hard work. “It’s really lekker, especially as this was the last year I was able to enter,” he said. Strauss, who farms on 900ha of irrigated land in the vicinity of Jan Kempdorp, said he produced wheat, maize, cotton, peanuts, lucerne, oats and pecans. “We really do a bit of everything,” he added. He said he and his team evaluated supply-and-demand scenarios every year and made planting decisions accordingly. Strauss was also commended by judges for his long-term grain marketing strategies. He purchases maize through contracts and by so doing creates a hedge for the poor years. 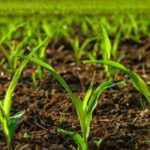 “There’s always a positive in any situation, which is something I really want to share with my fellow farmers,” he said.